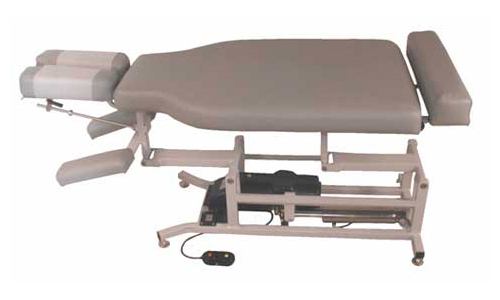 The Astro Elevation Chiropractic Table can be hydraulically lifted to any height desired from 18″ to 38″, greatly reducing doctor fatigue. Lloyd’s reliable and extremely quiet electro hydraulic system smoothly lifts up to 450 lbs, in 10 seconds with superior stability. It takes a minimum 5 feet of floor space.